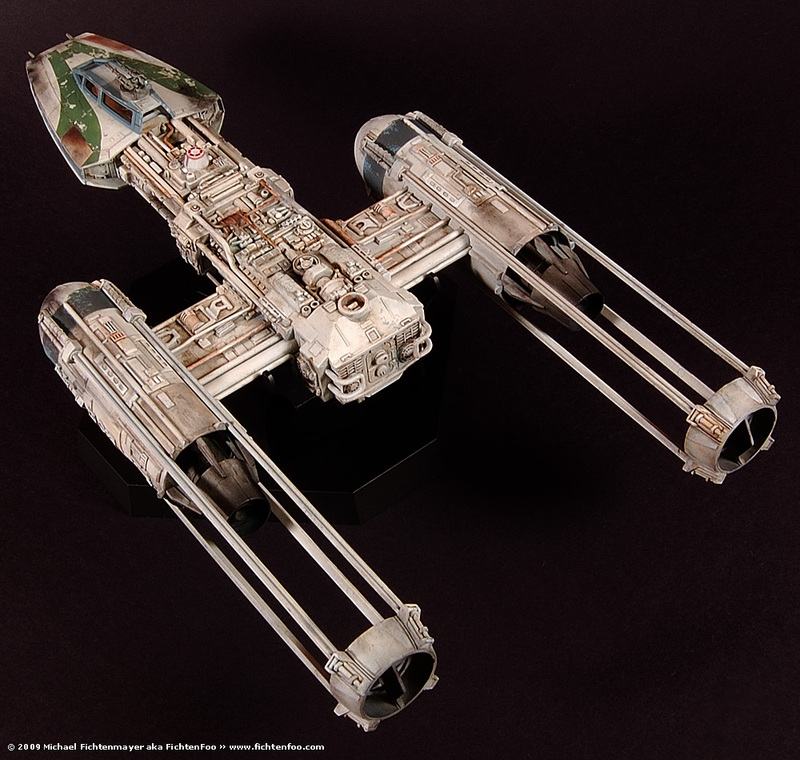 The Y-Wing is complete. The plan is for this to be part of a larger diorama down the road, so not a ton of images or a detailed base. The base is the stock one that came with the kit spray painted in matte black. The last step was to apply various Mig Pigment powders to do the scorch marks and engine burn. For the engines I used both “Plasma Burn” (blue) and Rock Exhaust” from their Fantasy line. To seal the pigments I sprayed the Mig Fixer lightly onto the kit with my airbrush. This seems to be the best way to use it unles your pigments are in piles. Then the airbrush would blow them away. Anyway, here’s the pics! 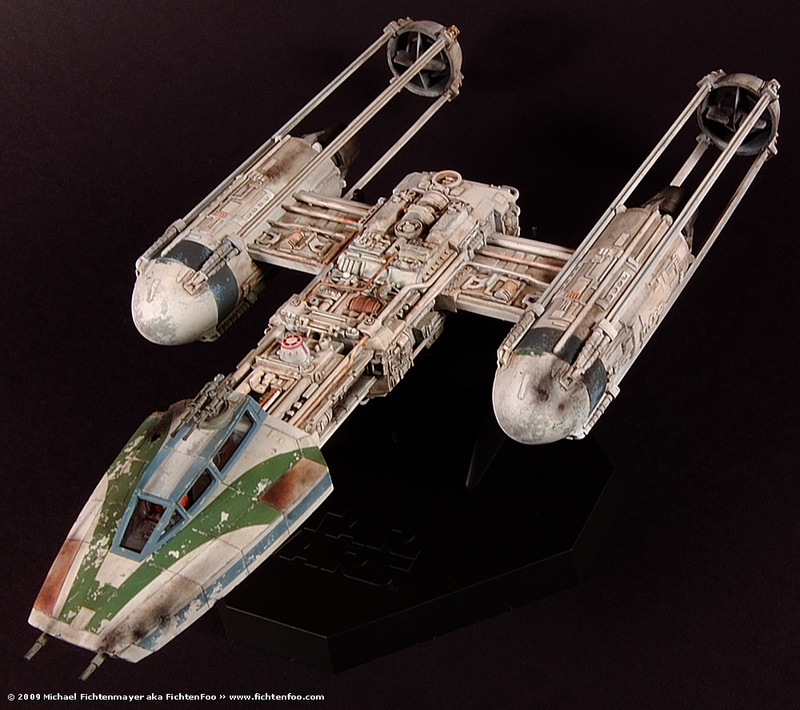 1/72 Scale, 502 Abteilung, A New Hope, Completed Models, Custom, Fantasy Pigments, Fine Molds, Green Two, Pigments, Return of the Jedi, Star Wars, Weathering, Y-Wing. Bookmark.